How do you feel when you contemplate the depths of Earth’s own oceans? The deepest part of our ocean is in the southern end of the Mariana Trench, called the Challenger Deep, beneath the western Pacific Ocean . It reaches a grand depth of 36,200 feet. This amazing depth puts it at just about 7 miles. Yes, 7 miles! Light from the Sun has never graced these depths and the mysteries held within are still unknown to us. The scale of our oceans are frightful to consider. But marveling at our own world’s wonders and the mass of space that surrounds it is something that Hello Games are promoting with No Man’s Sky. It’s a game that touches deep into our imagination. Discovery and interest in the unknown are goals of this groundbreaking game. 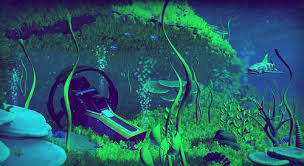 But No Man’s Sky itself is going to limit us when it comes to discovering what lies on the ocean floor. For now. 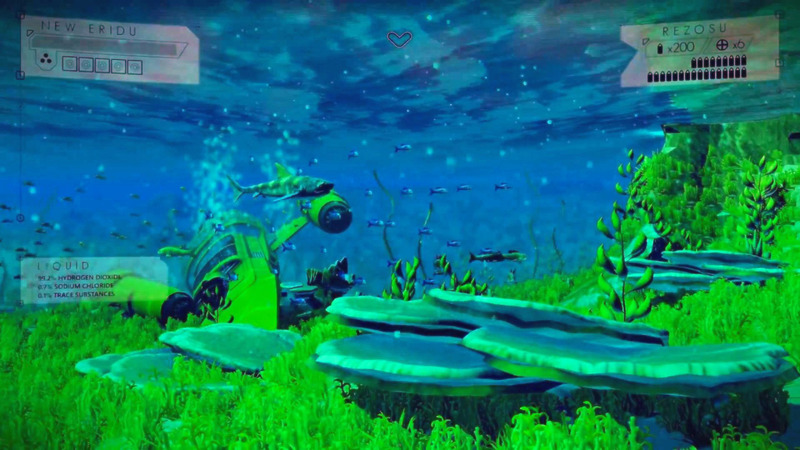 Reddit discussions are rife with talks about the depth of the oceans in No Man’s Sky. In one demonstration, Sean Murray himself was stopped from fully exploring an ocean’s depths. In his podcast, Sean Murray the suit you are wearing in No Man’s Sky has limitations. It’ll have various, yet upgradable stats, one of which shows how long we’ll be able to survive underwater. On one occasion, Sean received a random beacon that was telling him to go to the bottom of an ocean. Ultimately he was unable to reach the bottom and died on the way. It also became far too dark for him to see anything. Creepy. It was Sean’s hope to uncover a strange creature that he’d never come across before, but his own game, his creation, failed to give an answer. After he died he was unable to find the same beacon. 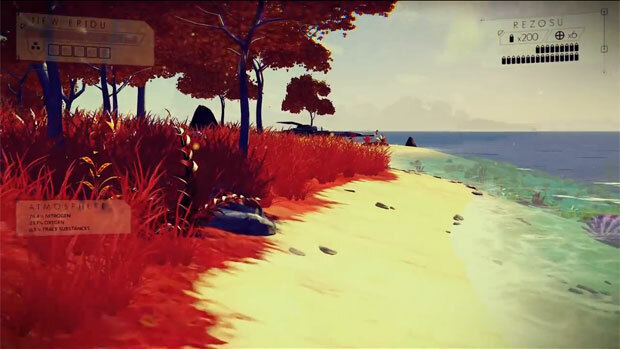 It’s a fascinating way to approach No Man’s Sky – even the game’s creator is restricted. It conjures up such a beautiful metaphor for life and the universe around us. Just as we’ll never explore all of No Man’s Sky‘s planets in our life time, we’ll never be able to see all of the terrifying creatures that live in depths of Earth’s oceans. No Man’s Sky is said to have a PS4 release date in June 2016. Let’s all hope they can make it because quite honestly, I can’t wait to set out exploring the endless reaches of this game.